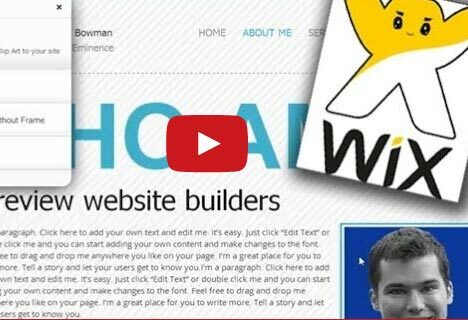 Wix Review - Website Builder That is Fun? Or do they? One perceived downside of website builders is that they stifle creativity with their limitations. I would agree with this in general, but website builders are a great option for many people who want an affordable website and don’t care too much how it looks. 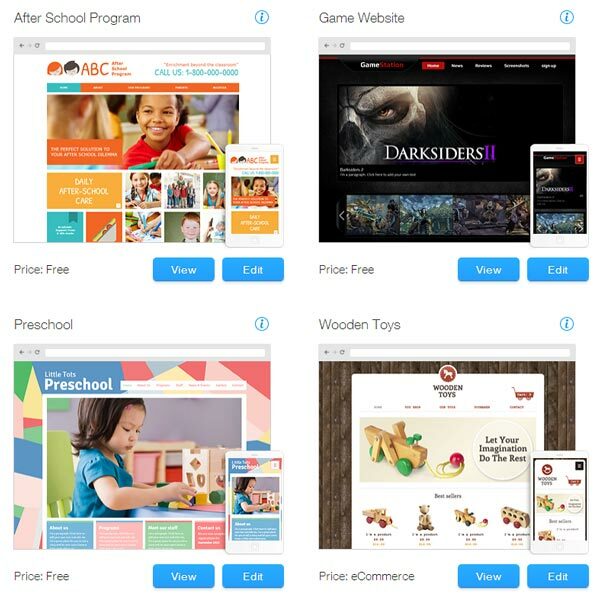 Enter Wix.com – Now you can have the best of both worlds. An affordable website builder and virtually unlimited design freedom. Add shapes, colors, lines, animations, and layer everything to create unique effects. It’s fantasyland for a creative mind who knows nothing about HTML and building websites, but can visualize the website of their dreams. Wix is all about design freedom and originality. Here are just two of the standout features that contribute to the creative freedom. Shapes & Lines – You can create an almost endless number of shapes and lines and use them any way you wish. Check out the custom shape in the animation above and watch me give myself a mustache in my Wix review video with the Wix Shapes & Lines widget. It may seem like a simple thing, but good luck finding another website builder that does it. Animations – One of the most unique features of Wix is that you can animate everything. This creates a unique and professional look that you can’t get with any other website builders and would take hours to program into a custom coded website. Not only are the design features of the Wix website builder impressive, the website templates they offer are solid too. 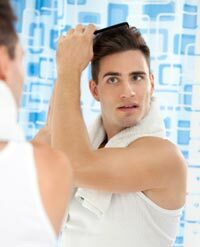 There are hundreds to choose from in several different categories and most (if not all) of them are free. One downside of Wix is that once you choose a design theme and start building your site, you can’t switch to another design. To use a different design, you’d have to start over from scratch and copy/paste all the text content. This is the price you pay to have awesome, unique design themes on a website builder platform. Does Wix Website Builder Use Flash? Wix is one of the “flashier” website builders, but it doesn’t use Flash. It did in the past, but it doesn’t any more. Flash allows for animation on the web but the downside is it uses a lot of web graphics that search engines can’t read. 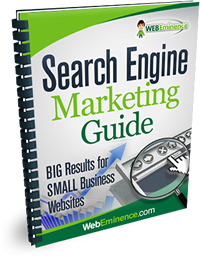 Having a website that search engines can’t read is bad news if you’re hoping to rank in search engines. So what does this mean to you? – It’s good news. It means you can have a flashy website with custom graphics and animations, but still have it coded in a way that plays nicely with search engines. And thanks to the Flash widget in the Wix HTML Editor, you can still add Flash elements to your Wix website. How Clean Is The Code of a Wix Website? Website builders are easy to use, but in order to create the ease, the resulting websites usually have messy code. Reason being, as you are dragging and dropping items around the screen, the website builder has to build the code in the background. The website source code of a website builder is not nearly as clean as a good web developer writing code from scratch. If you read my review on the Intuit Homestead Website builder, you’ve seen one example of a website builder creating messy code that can hurt your search engine rankings. 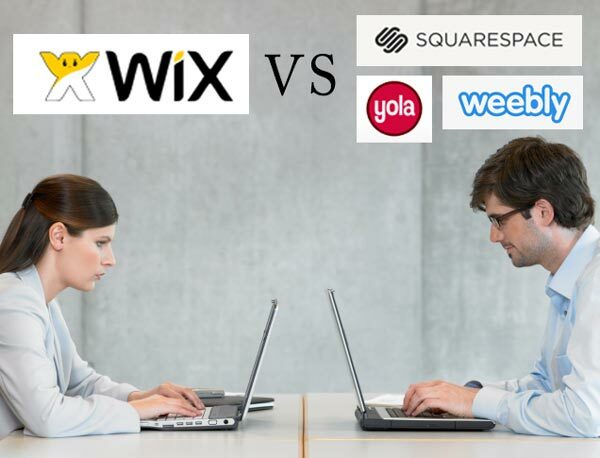 So how does Wix compare? Luckily, Wix has solved this problem. There is something called the AJAX crawling scheme that allows search engines to read an alternate version of the website code so they don’t have to weed through all the application code that creates the design and animations that make your Wix site look awesome. So the code that a search engine crawler will see is more like the After code above. As you can see, it’s easy to find the HTML code and the paragraph of content from my home page. The home page of my site will look more like this to a search engine crawler. And that’s good because it is easier to find the main content of my site and rank it accordingly in search engine results. Wix pricing is a bit more complex than some other website builders because they have more options. First of all, they do have a free plan that you can use as long as you want to create as many sites as you want. It is limited on storage and bandwidth and you’ll have to use a Wix subdomain like mine (www.webeminencellc.wix.com/weonwix) where “webeminencellc” is my account name and “weonwix” is my site name. You’ll also have a Wix ad at the bottom and top of your site. To get your own domain and get rid of the Wix ads, most Wix users will want to at least upgrade to their lowest plan so they can connect their domain name. This plan is called “Connect Domain” and it is between $4-7 depending on how you pay. Upgrades include only 1 site so you’ll have to pay separately for each website you want to connect to a domain name. 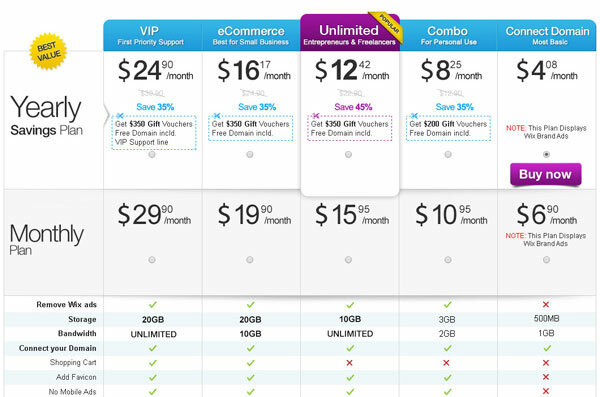 You can see the comparison on the Wix pricing page but the upgrades basically get you additional features like more storage, more bandwidth, e-commerce store, and VIP support. Overall, Wix is pretty comparable to other website builders on pricing. 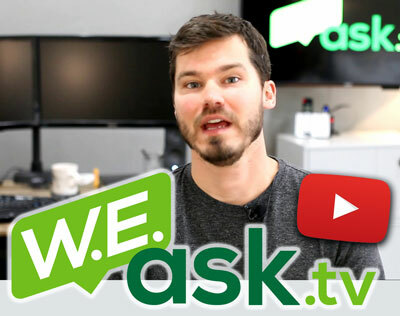 Check out my video that details some of the different options on Wix Pricing. Three of my favorite website builders have been Weebly, Yola, and Squarespace. But I have to say Wix is my new favorite. You can read all my website builder reviews here. Weebly and Yola are very similar. They are both user-friendly website builders with decent designs and reasonable pricing. You can create a website fast with Yola or Weebly and it will look fine. The biggest difference with Wix is the design flexibility. With Weebly or Yola, you can choose a design theme, change the colors, and even switch between themes quickly, but beyond that, there’s not a lot you can customize. With Wix, you have total design flexibilty. With it’s layered layout, you can drag elements to any position on the page and change their visual characteristics in many ways including colors, borders, and animations. With the Shapes and Lines widget, you can literally create your own artwork on your site. This is a huge factor for artistic people who want some flexibility with their website design but don’t know HTML code. Squarespace excels beyond Weebly and Yola in overall design aesthetic. Their design themes are clean, modern, and professional. However, there’s not very many to choose from and some would say they all have the same kind of look (vintage, modern, black/white). With the Wix website builder you have hundreds of themes to choose from and most are very modern and appealing in their design. There are tons of different color schemes to choose from and it’s easy to change color schemes after the theme is chosen. Weebly, Squarespace, and Yola are still excellent options. But Wix will prove to be a better option in most cases. Wix Apps – A big downfall of website builders is lack of expandability, but with Wix you can take advantage of apps created by Wix and third party developers to expand the features of your website. More Social Widgets – All website builders have social widgets that are easy to add to the page. Wix has a lot more than any other website builder that I’ve seen. List Builder – A real time saver, the list builder is many different types of pre-formatted lists to save you time when creating lists of almost anything on your site. Founded in 2006, Wix is one of the granddaddies of website builders, but they have proved they are not scared to adapt and change. They are headquartered in Tel Aviv, Israel and are one of the few publicly traded website builders (see their stock chart to the right). Look for Weebly and Squarespace to go public soon. Poor customer service is a downfall of many website builders, but I haven’t seen too many complaints on Wix’s customer service. I’ve noticed the Baby-boom generation wants to pick up the phone and call someone, but newer newer web technology companies like Wix generally rely on superb documentation and online forums to answer questions efficiently. Wix does an excellent job with both and you shouldn’t have any problems finding help as you build your Wix site. And you can always use the ole’ telephone if you want to call Wix. Customers on the VIP plan even get priority callback for quick help. They should call it the Baby Boomer Plan (no offense Mom and Dad). If you’ve already created your website with Wix, post the link in the comments below so my readers can see what’s possible with Wix. If you haven’t started using Wix yet, click here to try it out for free before you upgrade your account. To be fair, I should mention that I do receive a commission from Wix if you go through my link to buy a Wix site. The commission helps support this site and allows me to continue creating rad reviews like this one. And I would still think Wix is awesome even if they didn’t pay commission! To create a more well-rounded review, post your experience with Wix below in the comments so my other readers can get some other view points. Don’t be shy!